News items will be added here as and when they become available. There are not many news items to date, however, this page is made available for when such items do occur. When a news item is added to the site, the existing contacts (which have agreed to accept email update notifications) will be notified by email that a news item has been posted for their information. The North Rockhampton Senior Citizens Club Inc is holding a Seniors Expo Experience at Bauhinia House to increase awareness of healthy activities and lifestyle choices available to seniors aged 50 and over. Colin Ramsden, event contact, will be on hand to provide information on a variety of seniors’ lifestyle options such as travel, financial matters etc. 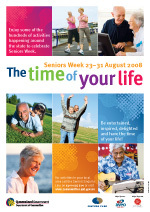 For details, see the Queensland Government Communities website, Seniors Week calendar of event for Fitzroy/Central West Queensland. 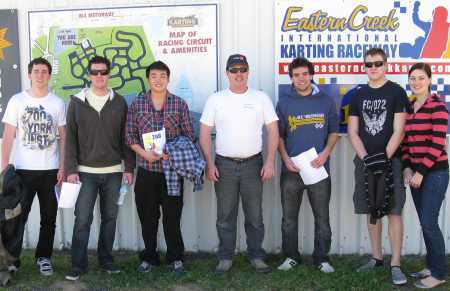 Colin Ramsden (of Kincumber) celebrates his 50th birthday with his sons and their friends by go-kart racing at Sydney's famous International Karting Raceway at Eastern Creek. He came a stunning 6th (of 7). 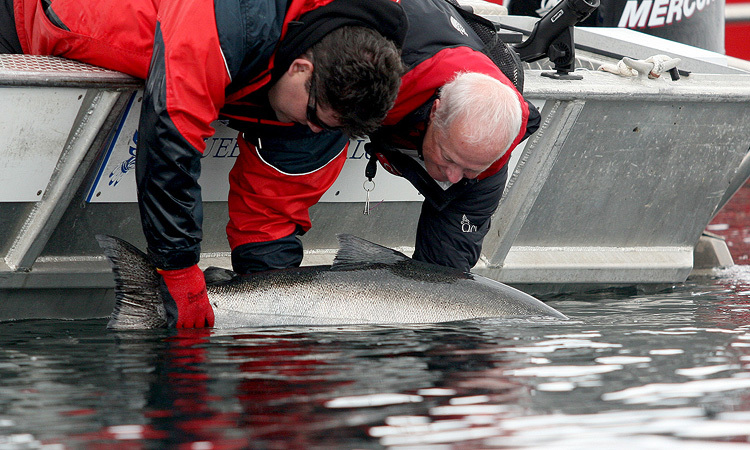 The pentultimate day in Kingfisher Derby week saw Colin Ramsden top the leaderboard pointscore with his biggest catch of a Chinook Salmon weighing in at 49.82 pounds (lbs). For more photos, see Photo Gallery. For a link to the original story, see Information Links. Today marks the inauguration and launch of the 'Colin Ramsden' website "colinramsden.name" dedicated to all people named "Colin Ramsden", no matter what their nationality, ethnicity, race, creed, colour, education, beliefs, height, width, hair length, foot size, or number of wives. 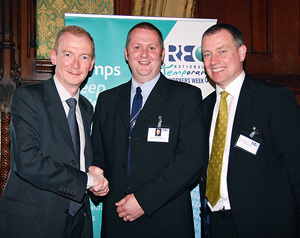 REC is proud to congratulate the winner of the 2008 One in a Million Award, Colin Ramsden, who received his prize at our celebrated award ceremony at the House of Commons. Colin was chosen from the 14 worthy sector winners. Each of the individuals listed below have been deemed to be truly exceptional workers in their industry and a credit to their profession.